This is a common orchid is found growing alongside tracks in open sunny areas and in rough grassland - even on road verges. 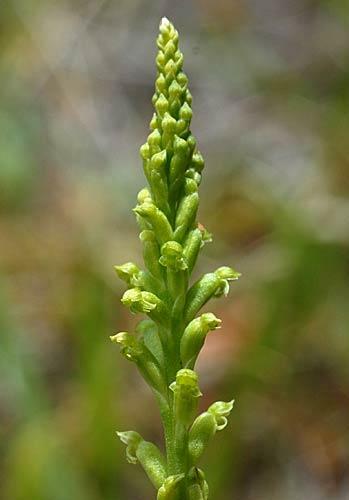 Many people would just think it was another weed and being the pale green colour that it is, would not recognize it immediately as being an orchid. It belongs to a group known as the 'onion' orchids. 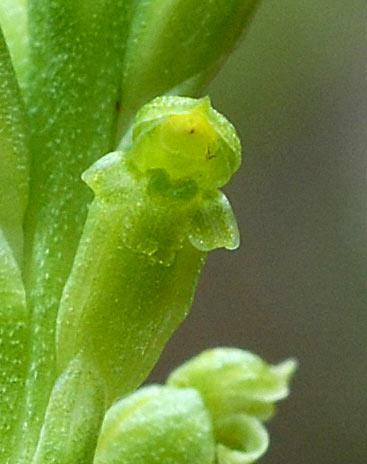 The flowers are about 3mm wide, and when looked at closely, they do have the orchid flower structure. It is probably self-pollinating. A close-up, showing the structure of the flower.